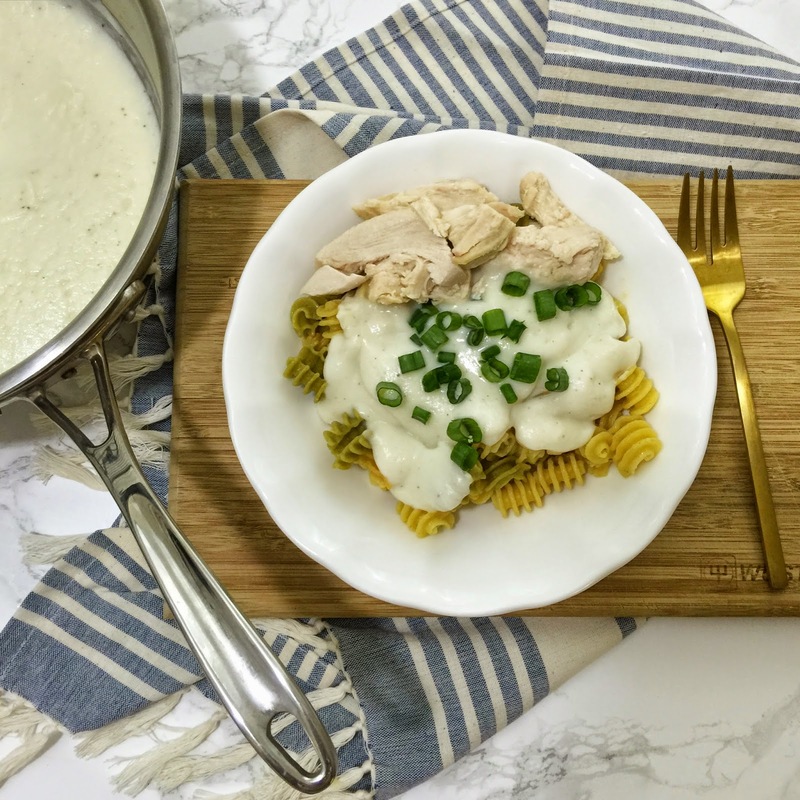 Lisa loves John: Cauliflower Alfredo with Quinoa Noodles! Yesterday, I told John that I was going to make a home made alfredo sauce for dinner. He came home and was wowing over the final product. We ate dinner, and he said it was delicious. I then told him it was a cauliflower sauce, and he was super duper confused, and didn't have a clue what I was talking about. 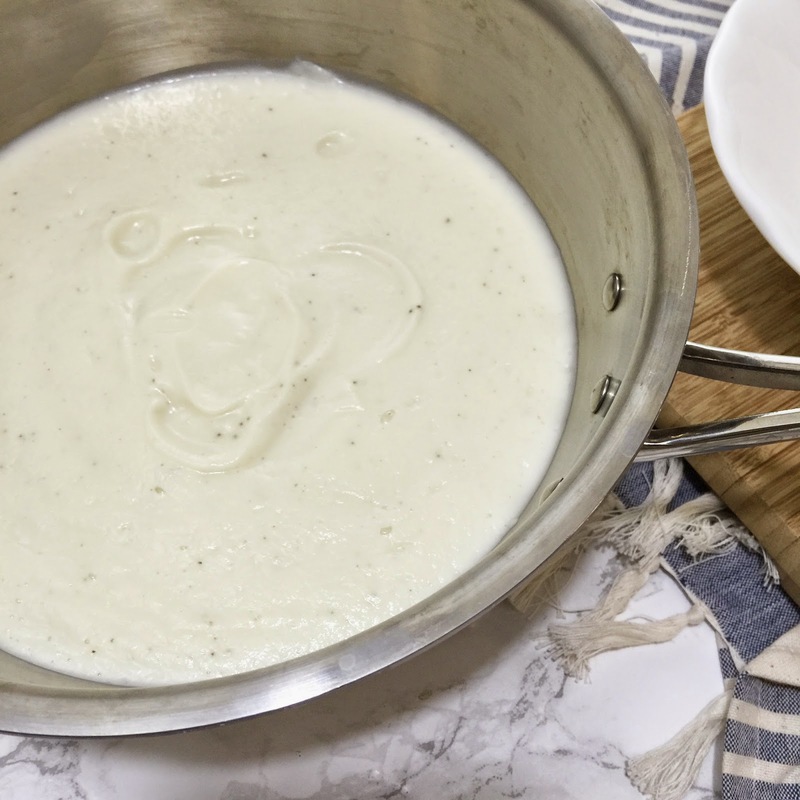 Moral of the story: you honestly cannot tell the difference between this cauliflower sauce and traditional alfredo sauce! 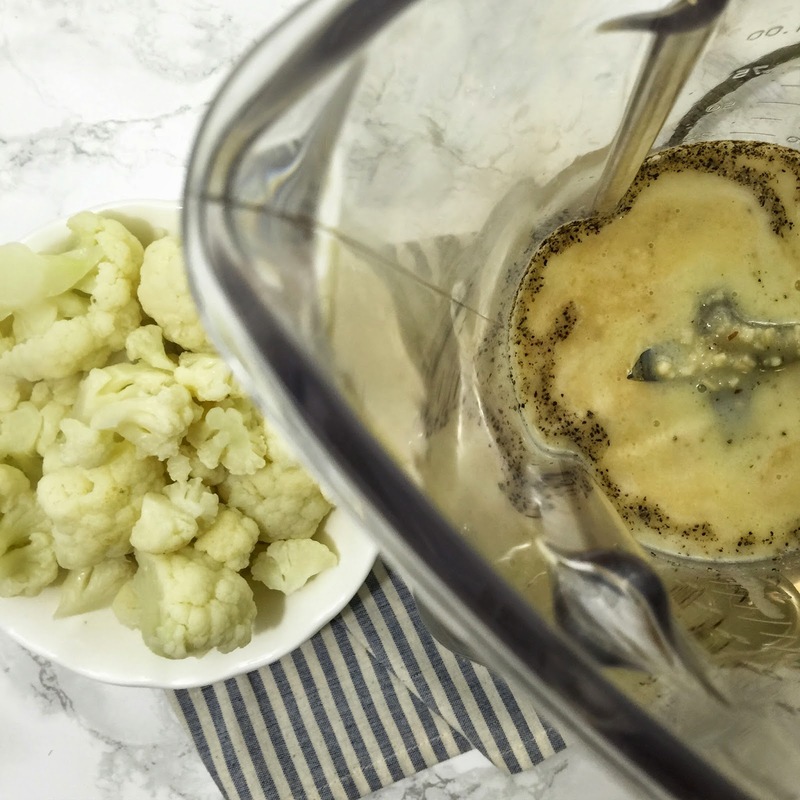 It may be because the consistency of the two are pretty much identical, but this cauliflower sauce is a pretty legit substitute - so tasty and healthy (yet completely satisfying)! The best part? It's so easy to make - and since it is pureed in a blender, the clean up is a breeze! Begin by cutting a head of cauliflower into florets. Boil the florets in a pot of water (or vegetable broth) until tender. While the florets are boiling, sautee 2 tablespoons of butter with 1-2 tablespoons of garlic. 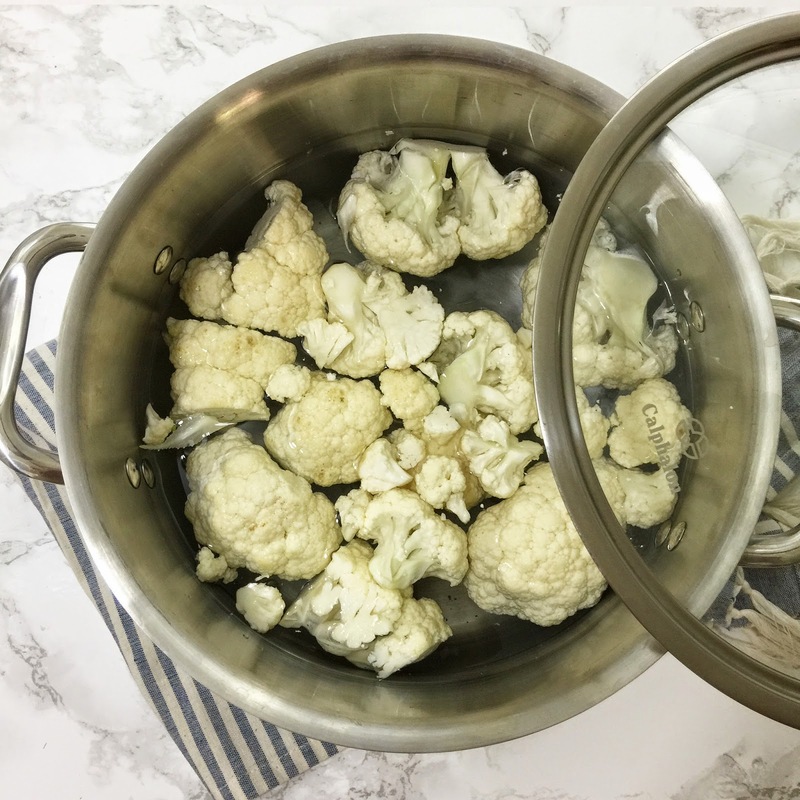 Once the florets are tender, add the cauliflower, sauteed garlic and butter mixer, along with 1/4 cup of milk, salt, pepper, and 1 cup of the water/broth that the cauliflower was boiled in into a blender, and blend until smooth. Make sure to blend everything while it is still hot so that it has a creamy consistency. In the remaining boiling water, dump your noodles, and start cooking. I wanted to use zoodles for this recipe, but I knew John wasn't going to like to veggie noodles with a veggie sauce; so we compromised with quinoa noodles! 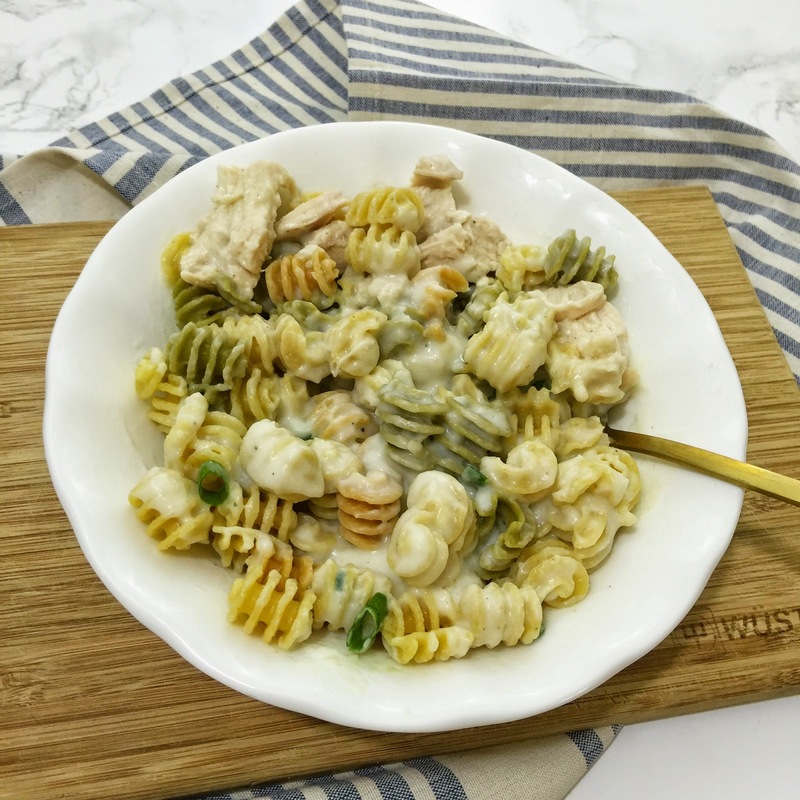 Serve the sauce just as you would a normal alfredo, and top with fresh green onions. We also served ours with a side of chicken to add an extra source of protein. I'm just as confused as John. And I want to try this myself. But I'm scared. BECAUSE CAULIFLOWER CANNOT REALLY TASTE LIKE ALFREDO... can it? lol.... If so, YUM! It definitely looks the same/delish! I've been on such a cauliflower mash kick (it really does taste just like potatoes!) so I cannot wait to try this!! I would have never thought to try as an Alfredo sauce- genius! Thanks for sharing! I love this sauce! We have made it several times. It really does taste like alfredo! We actually did the same thing to my husbands Grandma who is known for her hatred of vegetables. Seriously, she NEVER eats vegetables. So after she went back for MORE of the cauliflower sauce and dinner was over, we told her what it was made out of. After a brief pause, she asked for some of the leftovers to take home with her! It was priceless. This is AMAZING! I am completely impressed. Go girl! This sounds so good! I feel like you could totally fool someone and not even tell them that's cauliflower alfredo sauce too! Sounds like a great healthy alternative, and I absolutely love that John had to clue until you told him! I really need to jump back on the cooking, I've been totally slacking as of late! 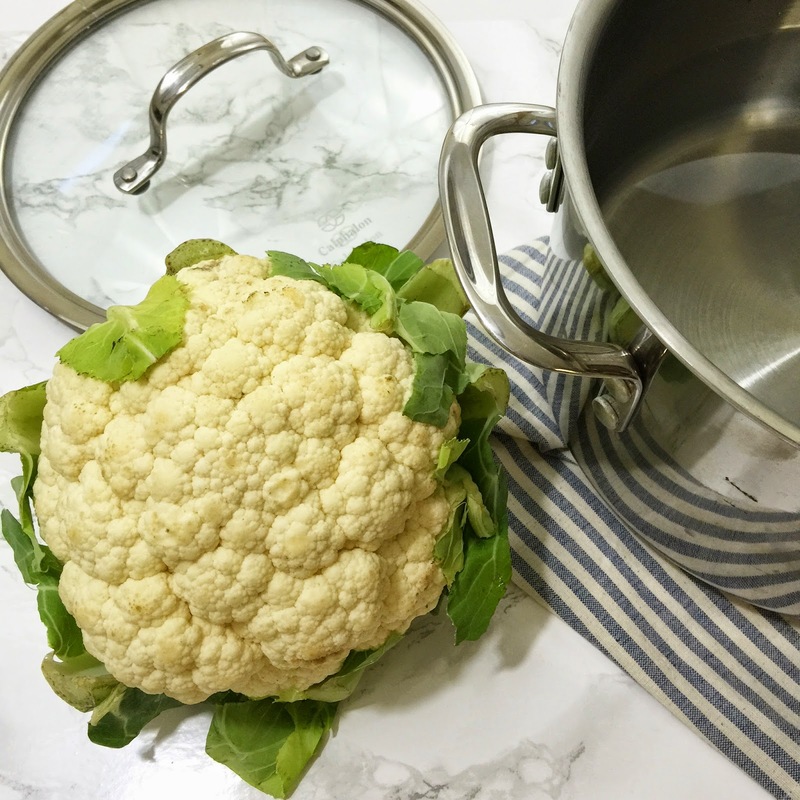 I was hooked at cauliflower!!! This looks so good! And easy! I would never think to add green onions as a garnish. Will be trying that soon! Just pinned this too! 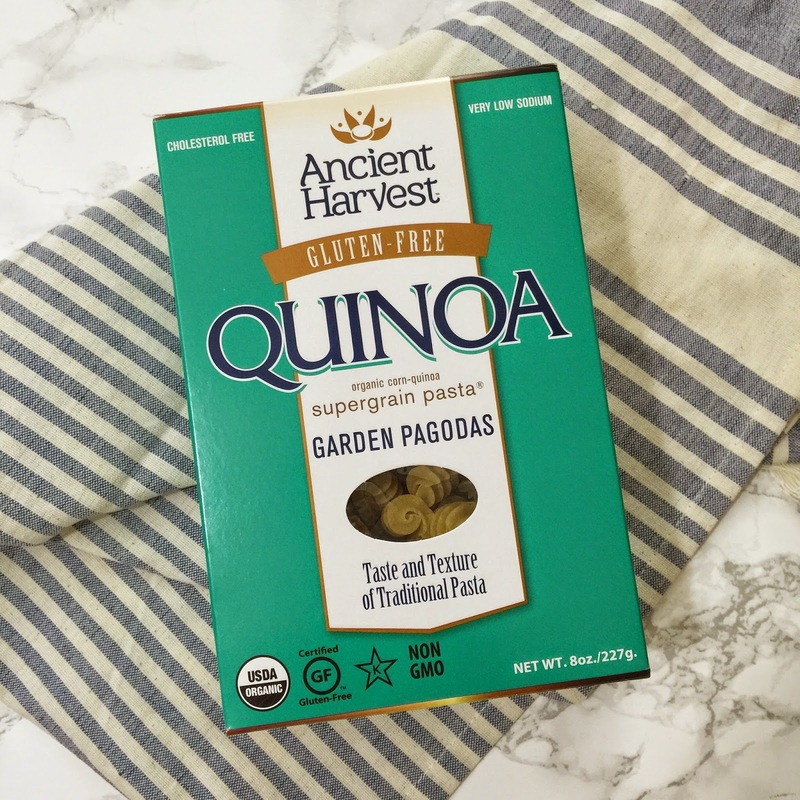 Adding this on my list to try along with cauliflower mash :) Looks delicious! Found your blog from another blog, and had to comment. 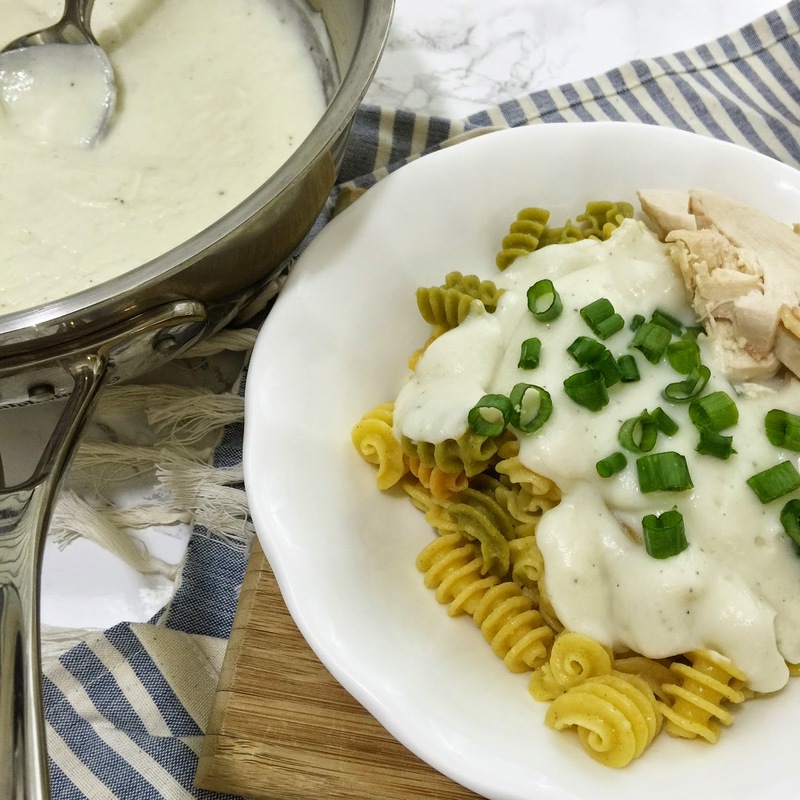 What a much healthier way to have an alfredo sauce. I definitely will have to try this out. Wow definitely trying this! 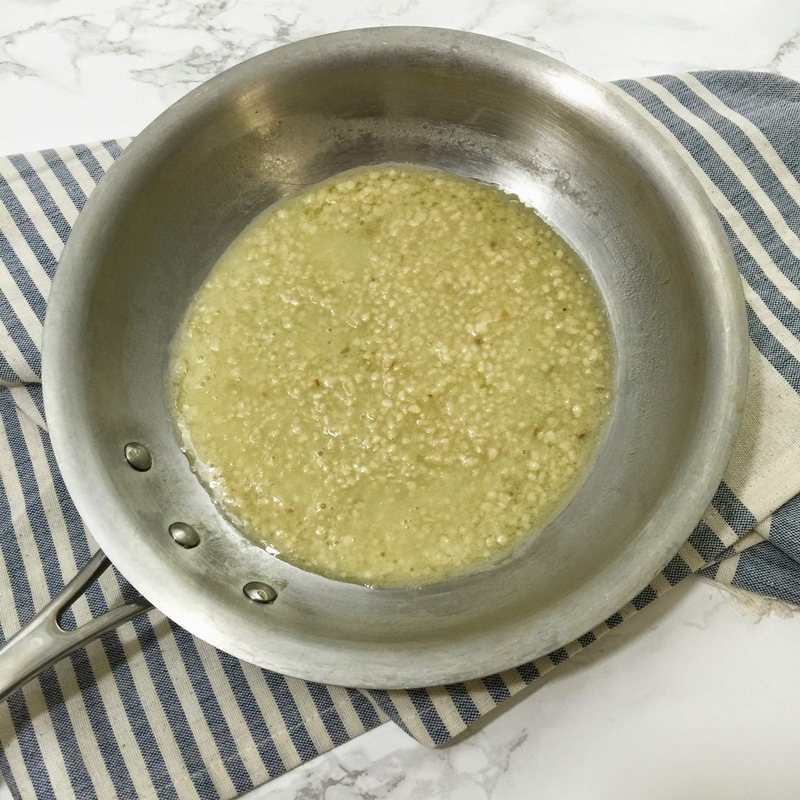 We do cauliflower rice and cauliflower "mashed potatoes" but never thought to use it for sauce! You always have the best recipes!!!!!! That's the pasta we use... its my fav! I've made cauliflower Alfredo a few times and I love it!! I also love those quinoa noodles! Lots of healthier options out there that taste good and similar to the less healthy versions! I am making this and not telling Mark. I can't wait to hear his reaction because that looks so good!!!! I'm totally making this since my lactose-intolerance ruins Alfredo! YUM. I will definitely have to try this! I never would have said "Yeah, let's just use cauliflower instead of the real stuff!" but it looks delicious! And bonus points for healthy! This was helpful since I just started a mostly vegan (except for fish and honey) diet. I think I will try to make it with plain almond milk.